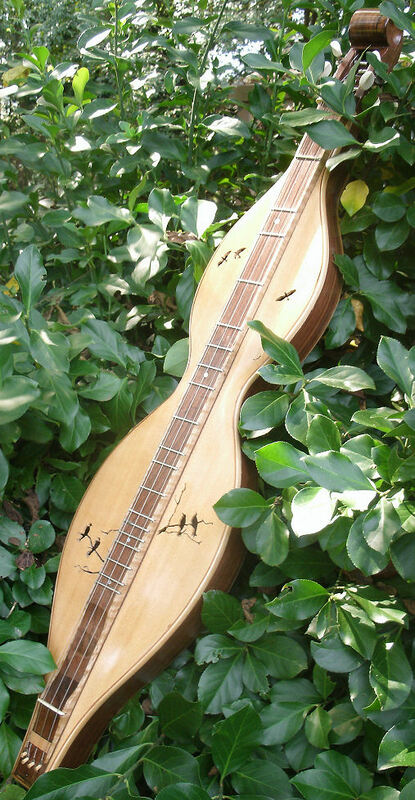 A brand new Wood News has just been released and with that comes a new round of Follow Fridays! 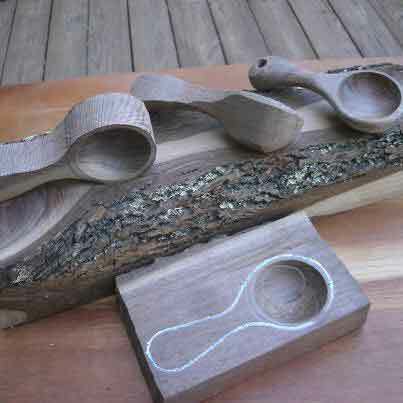 This week we are following Preston Woodruff, who we featured in this month’s Show Us Your Woodcarving column. 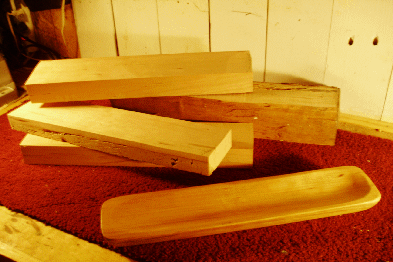 Preston lives up in the Appalachian mountains of Brevard, NC, where he owns his own woodworking company, Appalachian Tree Works, and is able to obtain a lot of his resources locally. 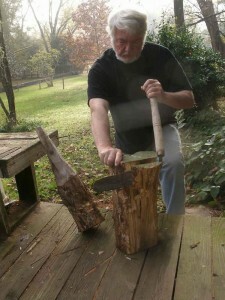 With the plentiful trees in the area come a lot of downed trees, which Preston is able to incorporate into his work. He first took advantage of this when a Sycamore tree fell down on his land a few years ago, which he didn’t want to see go to waste. 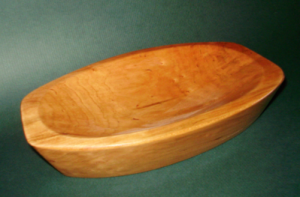 And so out of that tree came his company, Appalachian Tree Works, and he was able to turn the downed tree into Treenware (small handmade wooden household items). Preston takes full advantage of all of the opportunities western North Carolina has for woodworkers, including the abundance of trees, multiple antique shops and museums, as well as a general feel for old-fashioned woodworking. If you are ever in Brevard, NC, make sure you stop by The Red Wolf Gallery, where Preston shows his work. 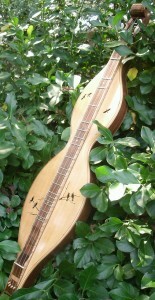 He also has showings at The North Carolina Crafts Gallery in Carrboro, near Chapel Hill. Shallow Dough Bowl made from Sycamore. 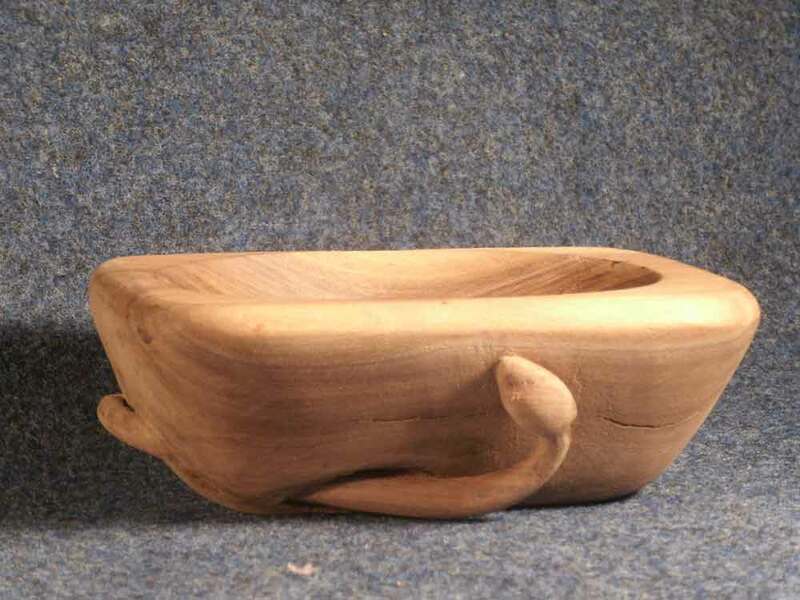 Small Walnut Bowl with Carved Snake. Coffee Scoops made in a variety of woods including Walnut, Cherry, Butternut, and Dogwood. 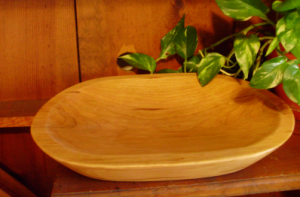 Baguette Tray made from Sycamore. 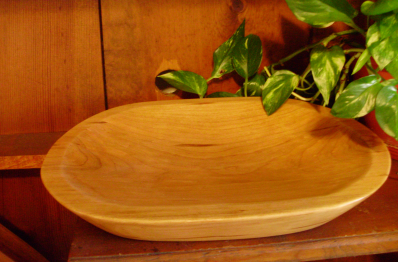 Small Oval Sycamore Dough Bowl made with squared ends. 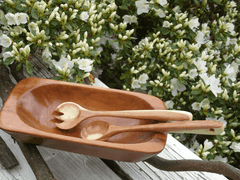 Salad Set made out of Cherry. Be sure to visit Preston’s website HERE for more information about him and his works. You can also visit his Facebook page HERE. ———————————————————————————————————————————————————————————————–Fridays on the Highland Woodworking Blog are dedicated to #FollowFriday, where we use this space to further highlight a woodworker or turner who we have featured in our monthly e-publications Wood News and The Highland Woodturner. Would you like for your shop or woodworking to appear in our publications? We invite you to SEND US PHOTOS along with captions and a brief history and description of your shop or woodworking (Email photos at 800×600 resolution.) Receive a $50 store credit redeemable towards merchandise if we show your shop in a future issue.